NATO members signed the accord with FYROM days after Greek lawmakers endorsed the Prespes Agreement between Athens and Skopje. Now, without Greece’s veto, FYROM can become a NATO member provided all other members ratify its membership agreement within their respect parliaments. 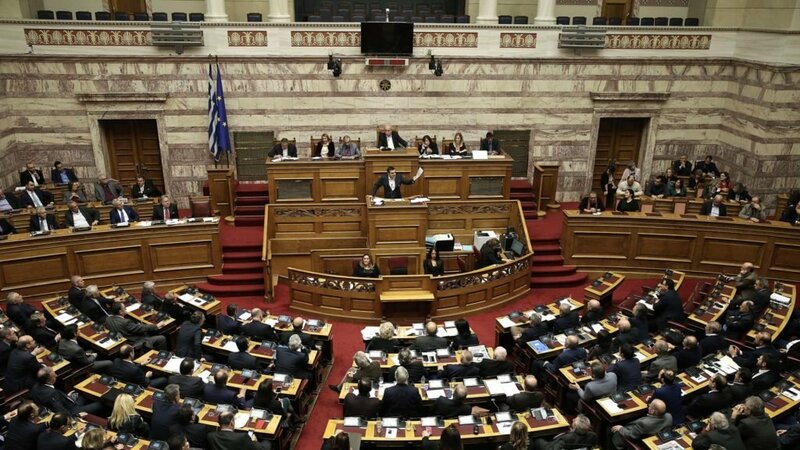 Greek lawmakers approved the accord that allows the neighbouring country to enter the alliance, with 153 votes in favour, and 140 against. During the debate, main opposition New Democracy (ND) party leader Kyriakos Mitsotakis reiterated the ND’s decision not to ratify the protocol for the accession of the neighbouring country into NATO as he believes that it would be the “final act in a damaging agreement”. He said that the process being used for the ratification is demeaning for parliament and “unprecedented”. He pointed to temporary alliances created for the accord to be voted through by “some eager deputies”. Prime Minister Alexis Tsipras defended his government’s stand and welcomed the end to the long-standing dispute over the neighbouring country’s name. He said that his government had “done its patriotic duty” and would be judged by people and history. He pointed to “threats and blackmails” but added that the “next generations” would welcome the agreement. Mr Tsipras also refuted calls for early elections.